The Baltic communities of the Bay Area will be joining our friends and families back home who will be lighting bonfires along the Baltic Sea on this day. 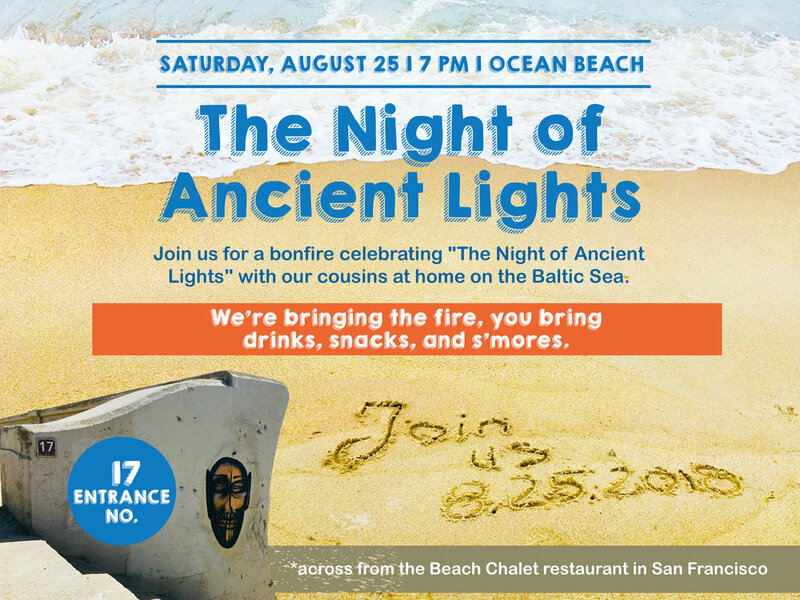 So we are inviting you to light a bonfire on the Ocean Beach in San Francisco. Come and join us on August 25 at 7pm at the entrance number 17th across from the Beach Chalet restaurant in San Francisco. We are bringing the fire, you bring drinks, snacks, and s'mores. The Baltic Sea is a link between our neighbors, fellow-countrymen and people from all around the Sea. FALL BALL 2018 - Save the Date.